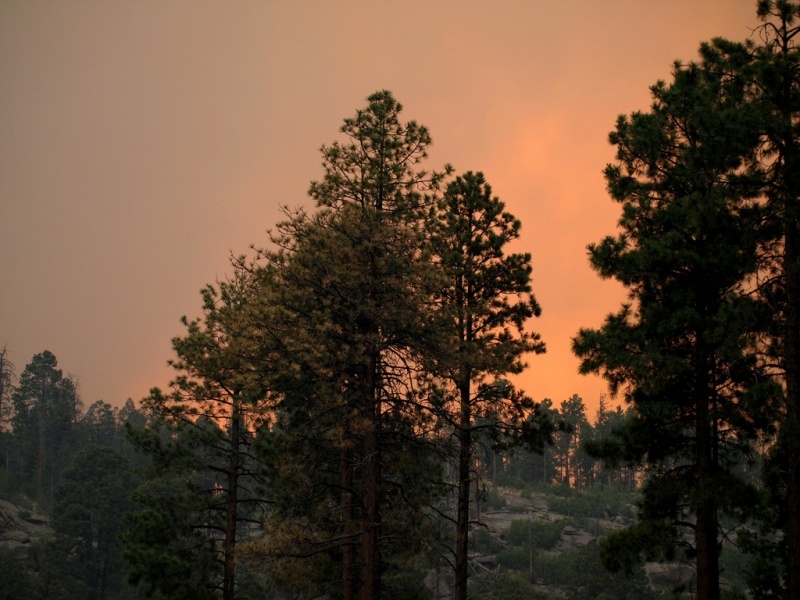 Los Alamos, NM – The rapidly expanding Las Conchas wildfire has in fact reached the Pajarito ski area in New Mexico, officials battling the blaze near Los Alamos have confirmed. In a noon press conference held today in Los Alamos, Fire Chief Doug Tucker confirmed that crews spent Monday night battling flames on the ski mountain. Tucker added that no structures were lost to the fire at all on Tuesday, leading to speculation that perhaps Pajarito’s lifts were spared. At least 30 structures burned on Monday. Tucker expressed his belief that the cause of the fire was a downed power line on private property. The fire grew little during the day on Tuesday, holding at 60,741 acres estimated by infrared data, although that area has increased considerably from the 43,597 acres estimated late Monday. It remains zero percent contained. Near the ski area crews are working to contain the fire using burnout methods to prevent the fire from spreading north of Pajarito Road and east of Highway 501. The entire northern New Mexico region is bone dry this summer after a La Niña winter that saw very little snowfall. Pajarito in fact had to close at the end of January due to a lack of snow, and by the close of the season on March 30th the 750-acre ski area located five miles west of the town of Los Alamos had reported annual snowfall of only 57 inches, well below its reported 125-inch average. The entire population of Los Alamos, some 12,000 residents, is under a mandatory evacuation order. As a result, Pajarito ski area officials could not be reached for comment.